The Central Bank of Nigeria has hinted about plans to increase the interest rate as it hopes to tighten the monetary policy in response to higher inflation ahead of the general elections in February. A Bloomberg report on Tuesday quoted a CBN Deputy Governor, Dr Joseph Nnanna, as giving the indication on Monday on the sidelines of a conference in the resort city of Sharm El-Sheikh in Egypt. But finance and economic experts have expressed divergent views on the issue with those opposed to the idea saying increasing the MPR would make it difficult for businesses to raise funds. According to the report, the MPC has held its key rate at a record 14 per cent since 2016 in a bid to prop up the naira and tame inflation after it spiked to double digits in the same year. While price growth has since slowed to below the monetary policy rate, the panel has shifted from some members voting for rate cuts in January to three of 10 members favouring higher rates at the July meeting. 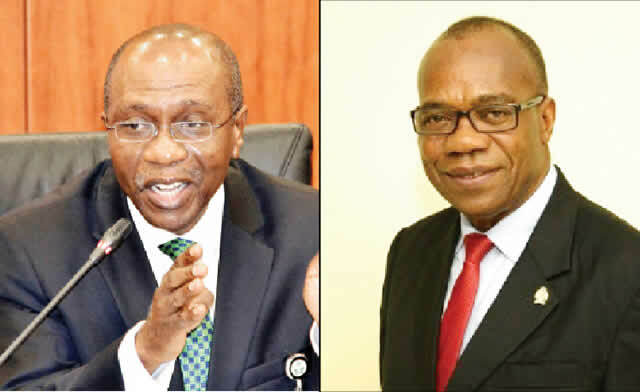 The CBN Governor, Godwin Emefiele, flagged the delayed passage of the 2018 budget of N9.12tn ($25bn) and pre-election spending as possible price risks in the second half of the year. Nigerians will go to the polls in February next year for a vote in which President Muhammadu Buhari will seek another term. He reportedly voted for a 50 basis-point increase in May. While the individual member statements from the July MPC meeting have not been released, one person voted for 25 basis-point hike and two wanted to raise the rate by 50 basis points. “The central bank is still in the mood for tightening. How fast are we going to tighten is what members haven’t agreed upon,” he said. Nnanna said while policy tightening by the United States Federal Reserve was a concern, investors still saw Nigeria as an attractive market, thanks to the stable naira and the yield curve on fixed-income instruments higher than in the US or Europe. Reacting to the issue, in a telephone interview with one of our correspondents, a former Director General, Abuja Chamber of Commerce and Industry, Dr Chijioke Ekechukwu, said while tightening would help curtail the threat of inflation, the burden that would arise as a result of high cost of funds would be transferred to consumers. He said, “An increase in the interest rate is to achieve a specific goal. It’s either to reduce inflation or to protect the foreign exchange market by reducing importation. Once interest rate increases, it wants to curb importation and protect the local currency because people will not have enough money from banks at cheaper rate. Also speaking, a professor of finance at the Nasarawa State University, Uche Uwaleke, said the threat of election spending, which might impact negatively on inflation, could force the apex bank to increase the interest rate. He said, “Single-digit inflation would justify easing monetary policy. This is not yet the case. The impact of largely unproductive expected election spending on inflation has to be factored in. Reducing the MPR may not necessarily translate to lower lending rates by the banks to the real sectors due to poor transmission mechanism from structural rigidities. The President/Chairman of Council, Chartered Institute of Bankers of Nigeria, Dr Uche Olowu, said the MPC would be taking a right step by increasing the interest rates. Olowu, who described it as a wise decision, said an increase in interest rate was necessary to compensate for loss of value. He said the next necessary thing to do when inflation rates start rising would be to raise the interest rates so that money would not lose value. According to him, there is currently too much money in the economy because of electioneering activities, which will bring about liquidity and eventually raise inflation.